this chilly weather is making me lazy. all i want to do is cozy up in a warm blanket [with a good book and a cup of tea], which is probably why i've been living in oversized sweaters and sweatshirts. it's the next best thing to a warm blanket when you have to leave the house. but i figured getting dressed on this monday morning was a good way to start the week. 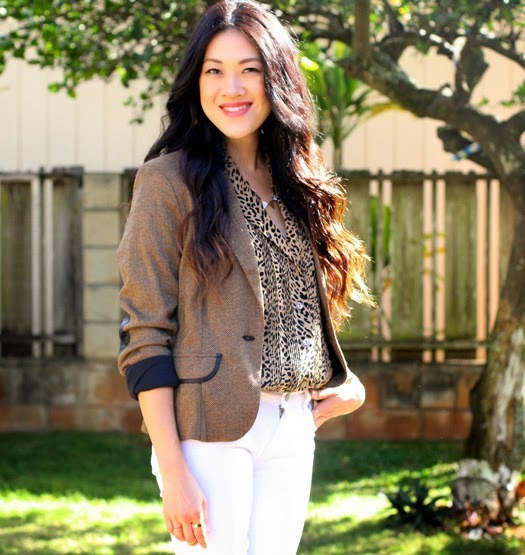 throwing prints and textures into the mix here while keeping to a neutral palette. 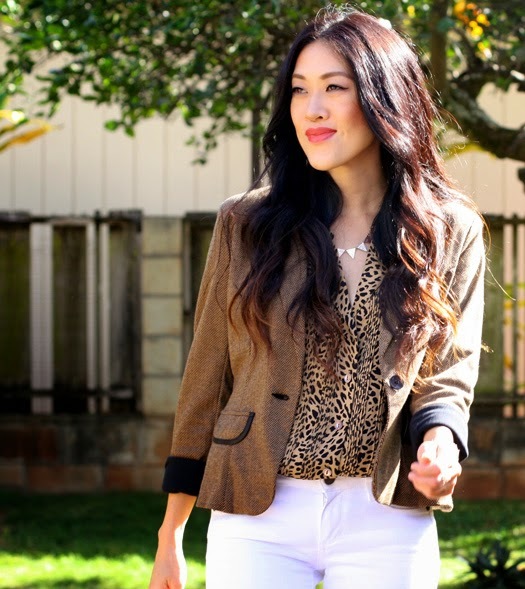 similar shades of brown keep the leopard and herringbone harmonious while the white denim freshens up the look. do you like dressing up when temps drop? Yep yep yep. Although we are currently in a "heat wave" of being in the 60s. Still I've been inexplicably lazy lately. I do love your neutrals though. You definitely don't look sartorially lazy! Gorgeous! I love white jeans during the inter months. Especially paired with animal print. You look great! Another cool combination. Love it. Great outfit!! 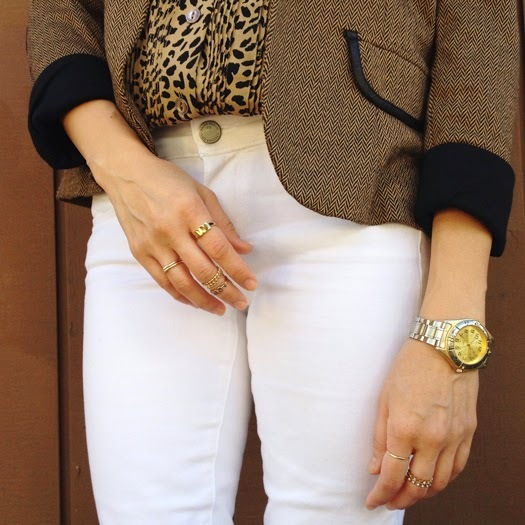 Love that blazer and top. well you don't look like you're feeling blah! I love big oversized clothes in the winter, but it does perk me up a bit to wear a more tailored, put together look! When it's too cold all I want to do is snuggle in bed haha. Have a great weekend dear! You look amazing. I love the leopard print. It looks amazing paired with the white jeans.